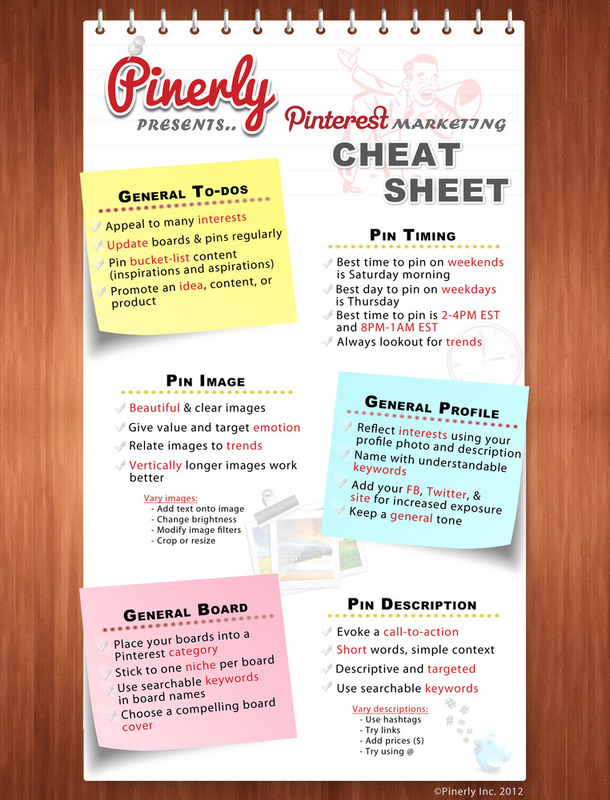 Pinterest Cheat Sheet: contains basic steps you need to take to prepare your profile and pin content more effectively. Social media Image Sizes Cheat Sheet: one of our favorite infographics. This covers the image sizes you need for Facebook, Twitter, Pinterest, and other social profiles. It is a time saver (credit: LunaMetrics). 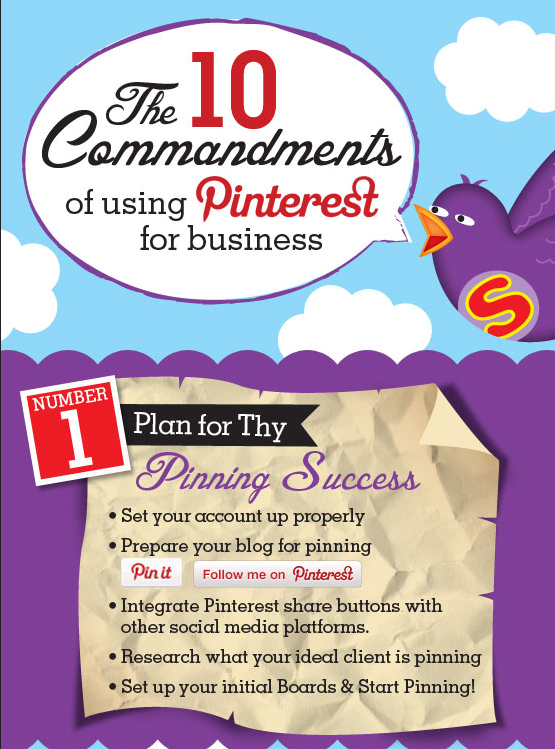 The 10 Commandments of Using Pinterest: contains tips you need to know to get the most out of your Pinterest efforts. It shows you how to stay active in the community, grow your following with your contributions, and increase your Pinterest traffic. 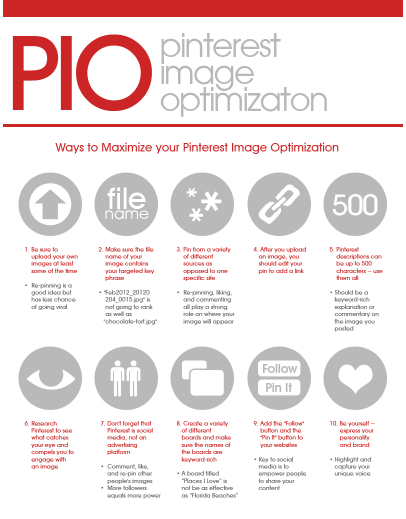 Pinterest Image Optimization: in order for the images you post to your account to have success, you need to optimize them for Pinterest. This infographic by PinnableBusienss shows you how to do that. A Marketer’s Guide To Pinterest: many marketers underestimate the power of Pinterest or just don’t put enough effort into making it work for their business. 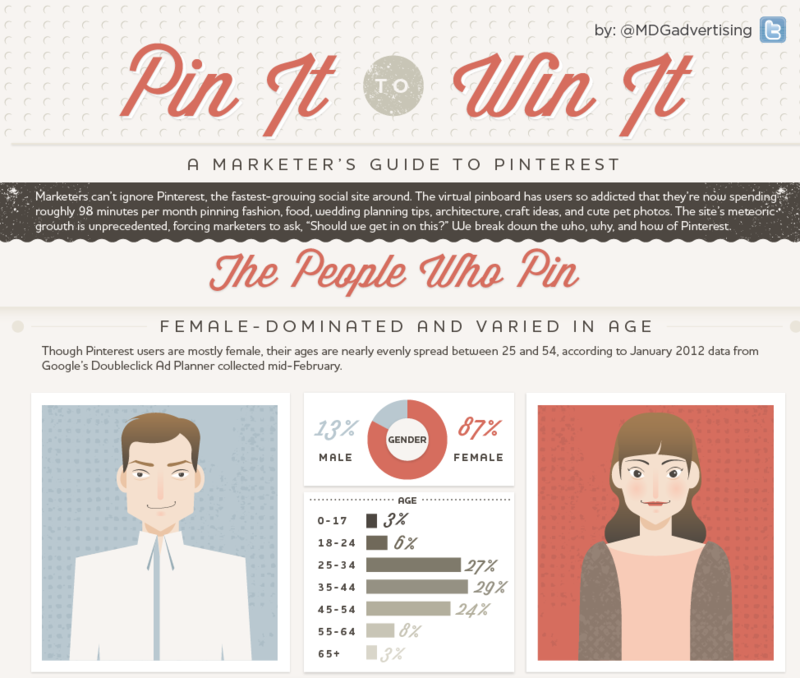 This infographic shows you why Pinterest is worth payint attention too. Pinterest can be a decent traffic driver for your business if you approach using it the right way. 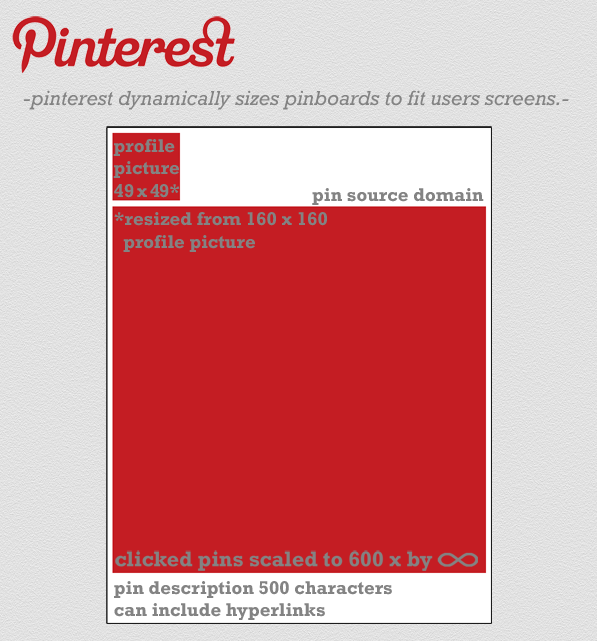 The above infographics show you ways to get the most out of your Pinterest campaigns.